PCC takes selected fields from IP header, and with the help of a hashing algorithm converts selected fields into 32-bit value. This value then is divided by a specified ''Denominator'' and the remainder then is compared to a specified ''Remainder'', if equal then packet will be captured. You can choose from src-address, dst-address, src-port, dst-port from the header to use in this operation. 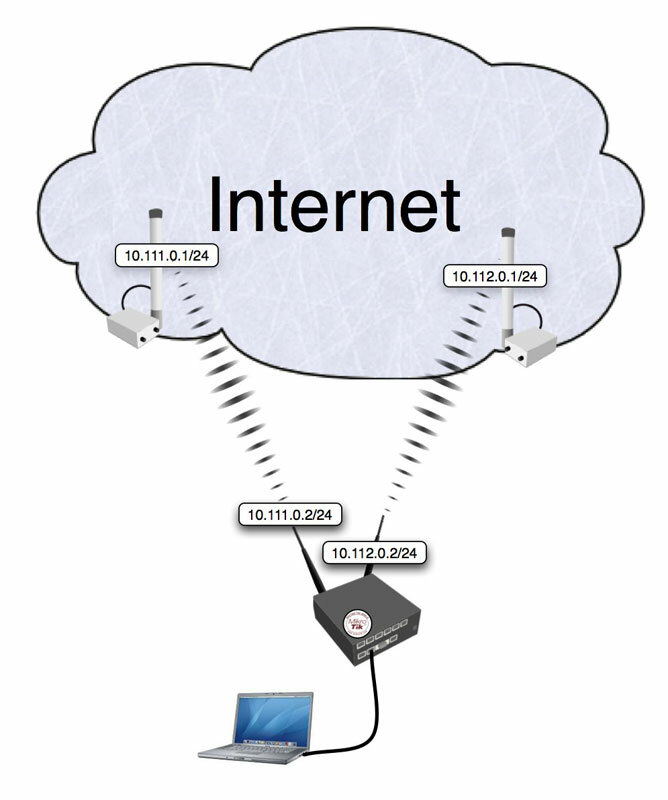 The router has two upstream (WAN) interfaces with the addresses of 10.111.0.2/24 and 10.112.0.2/24. The LAN interface has the name "Local" and IP address of 192.168.0.1/24.